A group meets at the Barrie Community House to discuss the formation of a safety council. Left to right, Mr. E.K. MacKay, Justice C.D. Stewart, Mayor W.L. Kinzie, Judge (and former Town Mayor) M.M. Hamilton and Mr. John Ricketts. Home/A group meets at the Barrie Community House to discuss the formation of a safety council. Left to right, Mr. E.K. MacKay, Justice C.D. Stewart, Mayor W.L. Kinzie, Judge (and former Town Mayor) M.M. Hamilton and Mr. John Ricketts. 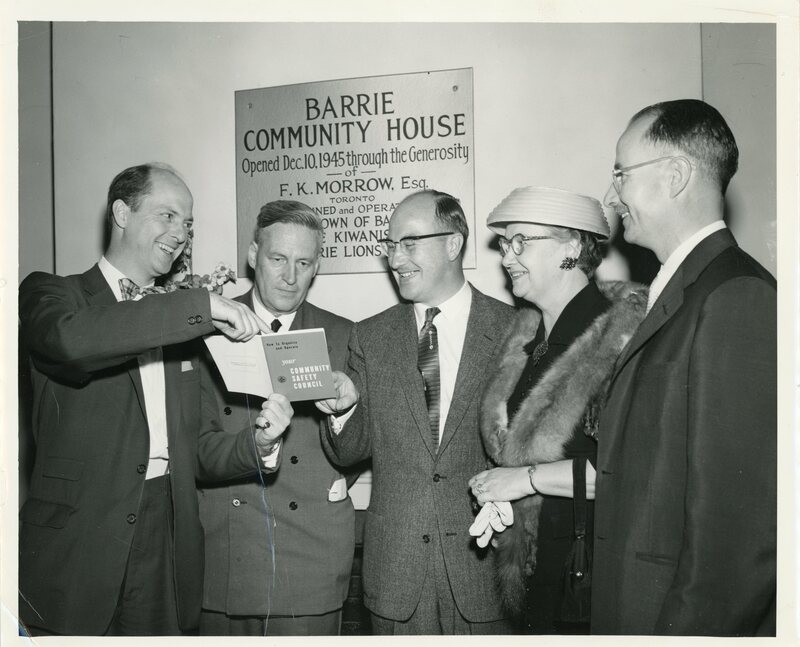 Tags: Barrie Community House, Former Mayor, Mayor Willard Kinzie, Willard Kinzie.